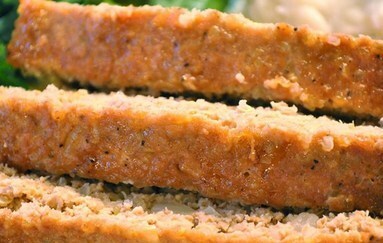 I always found turkey meatloaf to be quite disappointing. The flavor is usually lacking as well as the texture. Well, I have developed this version that has a great texture and a surprisingly good flavor (my brother couldn't even tell that it wasn't beef)! The secret is the quinoa, which adds wonderful texture and is much nuttier than breadcrumbs. I hope you enjoy this recipe!